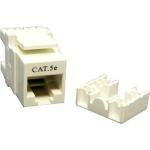 "The much more affordable alternative to the official PDL 619 keystone. You still have to buy the adaptor from PDL: 619MKC or 619MKLC. But all together still less expansive. 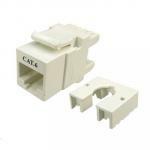 Perfect to maintain the PDL..."
"Easy to use and makes a reliable connection with the patch lead. Good price too." 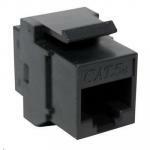 Cat6 Keystone RJ-45 Jack for 110 Face Plate . T568A/T568B Wiring. 90 degree Jack. Easy to use and makes a reliable connection with the patch lead. Good price too.Easy to use and makes a reliable connection with the patch lead. Good price too. 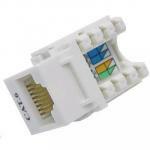 ITPFPKS001 Dynamix FP-1KS Single Port RJ-45 Keystone Face Plate. 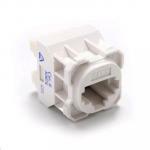 Horizontal Mount 10+ $2.95 +GST$3.39 inc.
ITPFPKS002 Dynamix Dual Port RJ-45 Keystone Face Plate 2 piece. Horizontal Mount 10+ $3.72 +GST$4.28 inc.
TOLDNX0026 Dynamix Rapid Termination Tool For 180 degree Keystone Jacks 0 $106.09 +GST$122.00 inc.
PB Tech price: PB Tech price: $3.99 ex. $4.59 inc.